Exotic illustration of a pristine beach. 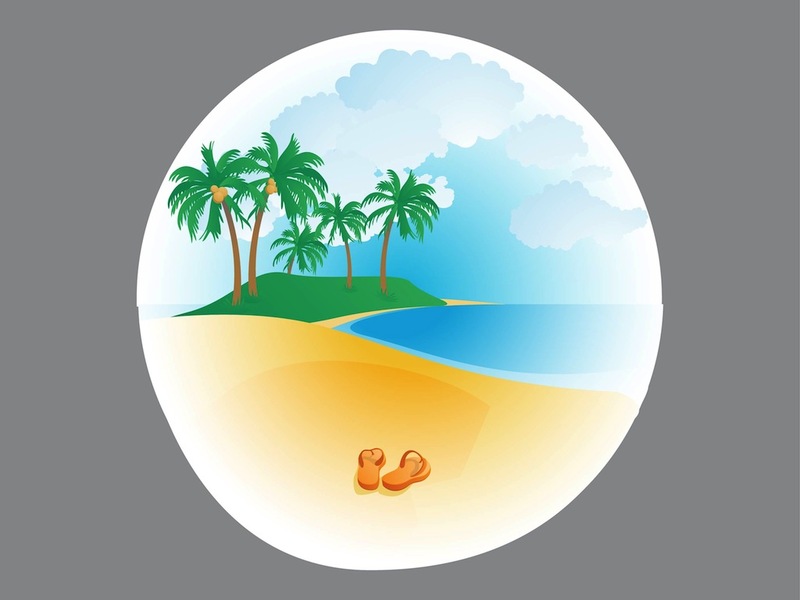 Round vector image of golden sand, calm seawater, palms and fluffy clouds in the sky. Pair of flip-flops lying on the sand. Free vacation vector image to use in travel agency logos, stickers, posters, flyers and postcards. Circle illustration for all summer and vacation projects. Tags: Exotic, Ocean, Palms, Sand, Sea, Summer, Tropical.